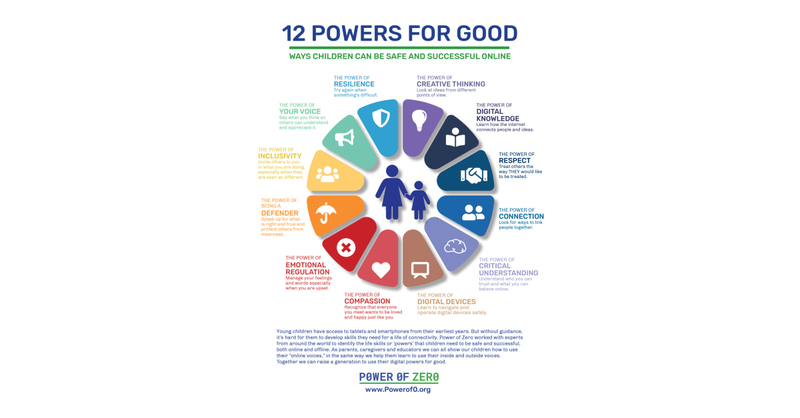 SAN FRANCISCO–(BUSINESS WIRE)–Leading national and global organizations, including UNESCO, Microsoft, Hasbro, Facebook and AT&T, announced today the formation of Power of Zero — a collaborative campaign dedicated to teaching children from the earliest ages how to be compassionate, resilient and inclusive online — reinforcing the skills that young children will use to develop meaningful and lasting relationships throughout life. The campaign will include learning materials developed by Scholastic, the world leader in books and educational content. Across the globe, young children are getting online earlier in increasing numbers. In the United States, 98 percent of children age eight and under now live in a home with some type of mobile device. In the United Kingdom, more than 30 percent of children age five or below own their own tablets. Throughout the European Union, internet usage by younger school-aged children is now equivalent to internet use by tweens three to four years ago. According to a 2018 European Commission qualitative study of families in 21 European Nations, young children have their first contact with digital technologies and screens below the age of two. According to the seminal study, FHI 360’s Right from the Start in the Digital Age, by third grade (ages 7- 8), 18 to 20 percent of children report that they have their own cell phone; as children engage online at increasingly earlier ages, there is a critical need for high-quality resources to help them develop the social-emotional skills needed to do so safely. One of the catalysts for the national conversation, the position paper addressed the need to lay the groundwork for children in grades PreK–3 to develop both safe and responsible digital citizenship that will help prevent them from engaging in, and being affected by, harmful behaviors such as cyberbullying in later years. Power of Zero aims to effectively address the key recommendation highlighted in the study – Start early before children are fully engaged online. As in so many other aspects of a child’s life, children need adults to help teach them how to be safe and successful online. Informed by leading experts in the digital lives of children, Power of Zero and its partners are dedicated to helping parents, caregivers and educators guide their children’s use and behavior, laying the groundwork for children to develop the digital citizenship skills that will help protect them from cyberbullying and the risks that come from easy connectivity to others across the world. “So many of us are concerned about our children safely navigating the digital world. How can we help them build the resilience they will need to deal with the risks and negative behaviors they will likely encounter in their online lives? And how can we encourage them to be inclusive and compassionate to others and stay away from the bullying and hate speech that dominate the tween and teen years?” asked Nicholas Carlisle, founder of No Bully and Power of Zero. UNESCO, Microsoft, Hasbro, Facebook, AT&T and Power of Zero are together taking action, informed by research and studies from experts around the world and providing early educators, parents and caregivers with the information and resources they need to teach children the skills necessary to safely engage online and in a life of constant connectivity. Following the collaboration’s official launch in January 2019, resources developed by Power of Zero and educational partner Scholastic will be available on Powerof0.org and to schools globally, including the UNESCO Associated Schools Network. Resources will incorporate learning materials and games that will help children understand the internet and prepare them to thrive in a digital world — a world in which the majority of young children are on devices. To learn more, please visit www.Powerof0.org. Power of Zero is a collaborative campaign developed and led by No Bully that grew from a recognition that families have embraced online technologies and global action is needed to help children develop the skills needed to ensure they get the benefits while helping protect them from cyberbullying and other risks that come from easy connectivity to others across the world. The campaign brings together NGOs, leading global technology and communications companies, corporate stakeholders, civil society organizations and individuals committed to raising the next generation as digital citizens who use their power well. No Bully® is a nonprofit organization that ignites compassion to eradicate bullying and cyber-bullying worldwide. Founded in San Francisco in 2003, No Bully was started by a collaborative team of educators, psychologists and lawyers committed to building a kinder and more compassionate world through ending the crisis of bullying in schools and online. Since its founding, No Bully has had a 90% success rate eliminating bullying in schools, serving 326 schools and over 200,000 students in the United States, partnering with institutions, families, parents, and students to teach the good use of power by empowering voice, compassion toward others, and inclusivity.